Meet the new Fresh Prince of Caribbean cooking, Darren Williamson. After honing his craft at some of the best fine dining spots in London, Chef D has been on a straight path back to his West Indian roots. Having been the Executive Chef overseeing the massively successful Puma Yard on Brick Lane during the 2012 London Olympics, he then went on to spearhead the original Rum Kitchen on All Saints Road serving his refined take on the food of his Caribbean heritage. 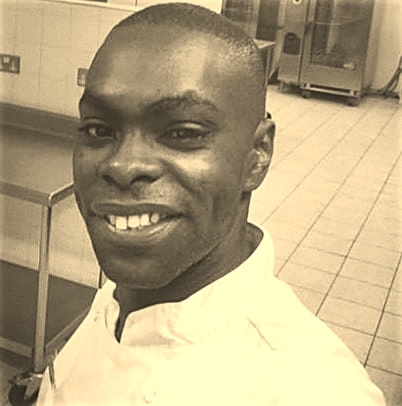 Now after a sabbatical of travelling and eating around the globe, he is back with his own venture - D’s Kitchen, serving mouth watering Caribbean fusion small plates at Bayswater stalwart The Beachcomber tiki bar. “I decided while I was on holiday in Bali I was going to just go for it! Caribbean food often has a reputation of being abundant and heavy. I want to change that image! Show people it can be pretty and nourishing and introduce them to the wonderful and varied flavours of my West Indian heritage, of my kitchen!” D’s Kitchen is the food of his roots and family table, even naming dishes after his daughters. (Look out for the Thi Thi rolls and Kaya Katsu!) Now based in Bayswater at The Beachcomber Tiki bar, Chef D is fusing his Caribbean small plates with modern British and Asian styles, all served up with love and passion and a slice of sunshine. The ethos is to cook with love and passion from the heart.